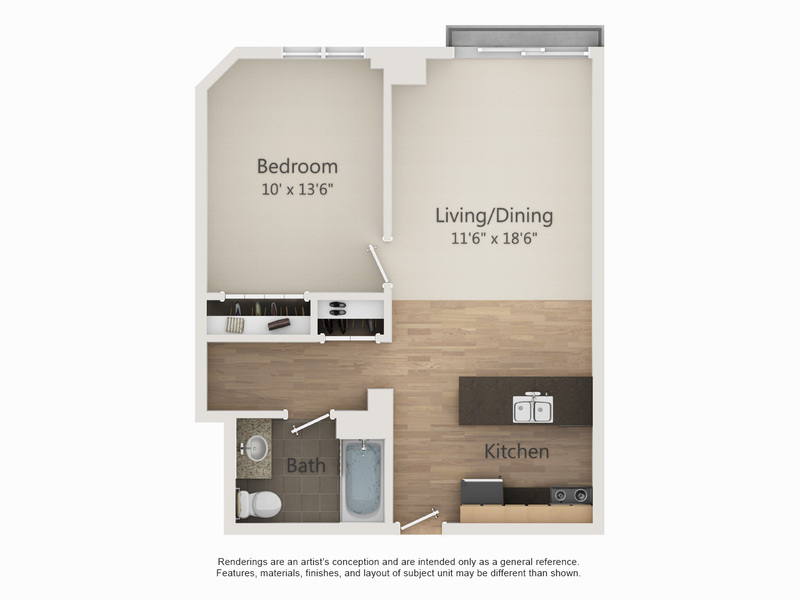 This one bedroom is the only unit in the building with this particular floor plan. Being located on the first floor, it has a patio door that walks out to the University Avenue side of the building. This large floor plan can easily accommodate two roommates with full-size bunkable beds provided.